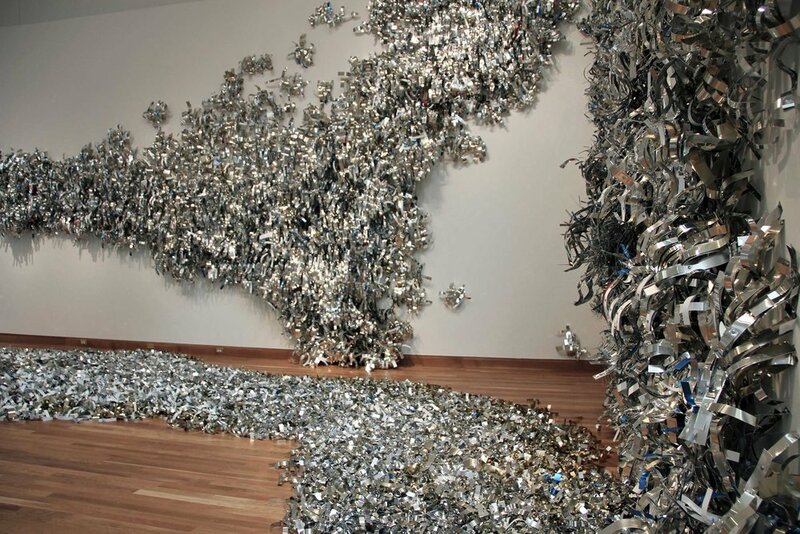 On display at the Weisman Art Museum as a part of an exhibition entitled "Sympathies" from October 2011 through May 2012, Merge was made of more than 350,000 aluminum strips of six different colors, ranging in size from 1x7" to 2x10" with two different finishes (matte & shiny), approximately 14,000 screws, and hot glue. 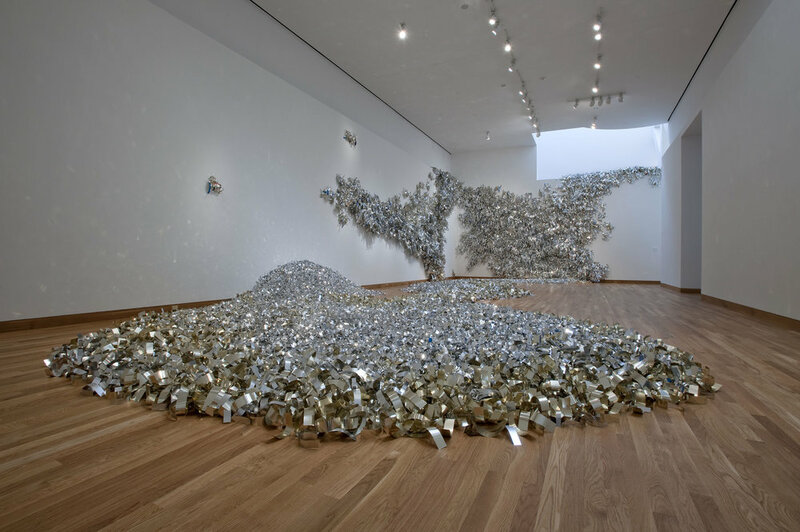 Aluminum was placed on the floor and three adjacent walls spanning over 3,000 square feet. 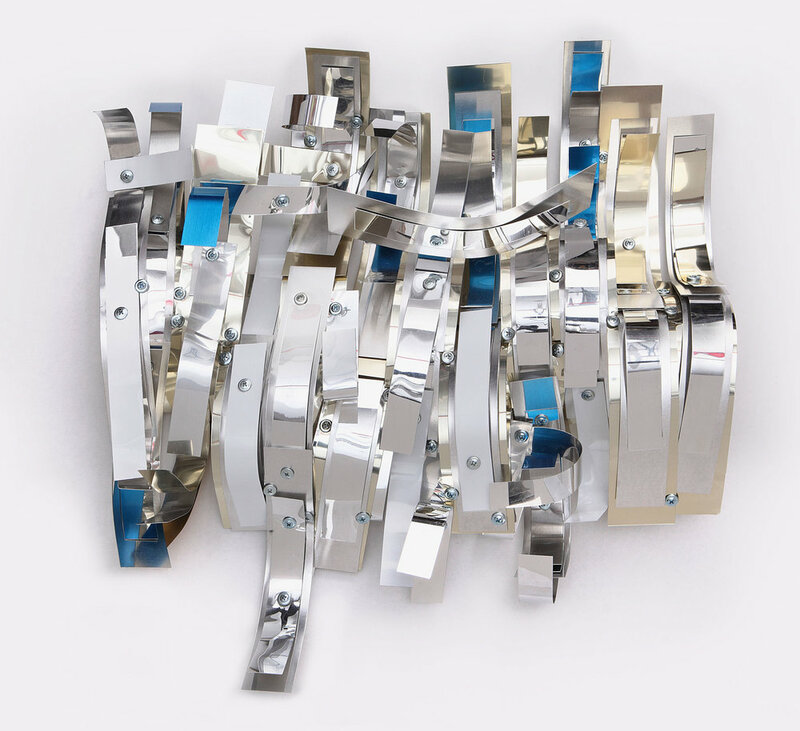 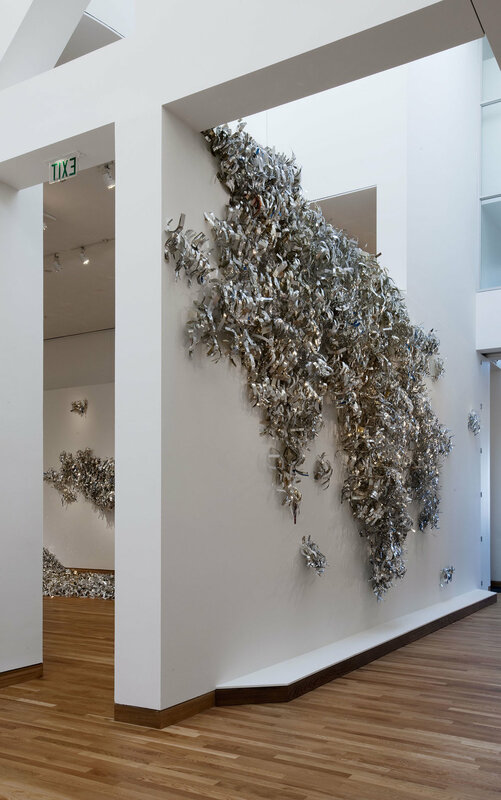 Curated by Diane Mullin, the Weisman Art Museum at the University of Minnesota in Minneapolis commissioned contemporary artists to respond to work in its collection, inviting artists whose work seemed in some way sympathetic to aspects of the museum's collection. 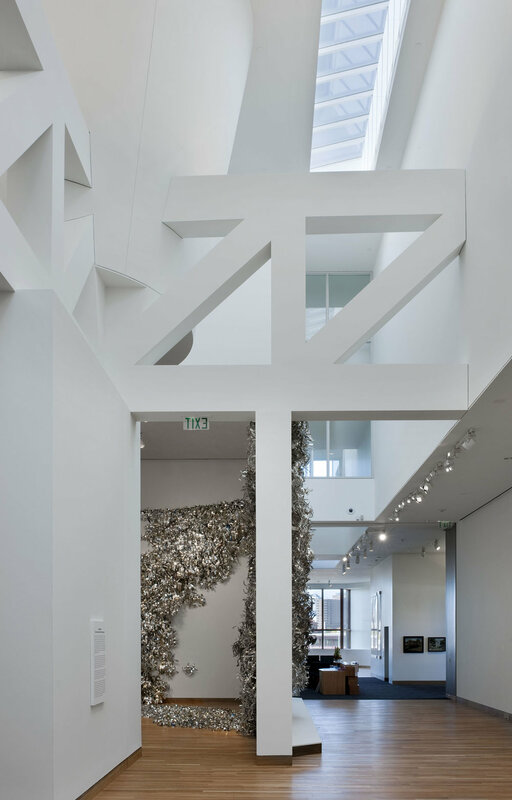 Merge was specifically commissioned to be in dialogue with the architecture of the museum, designed by Frank Gehry. 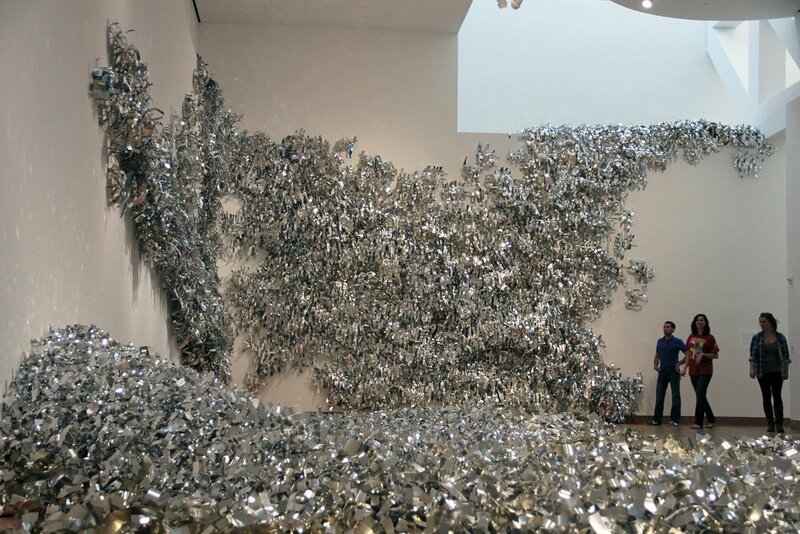 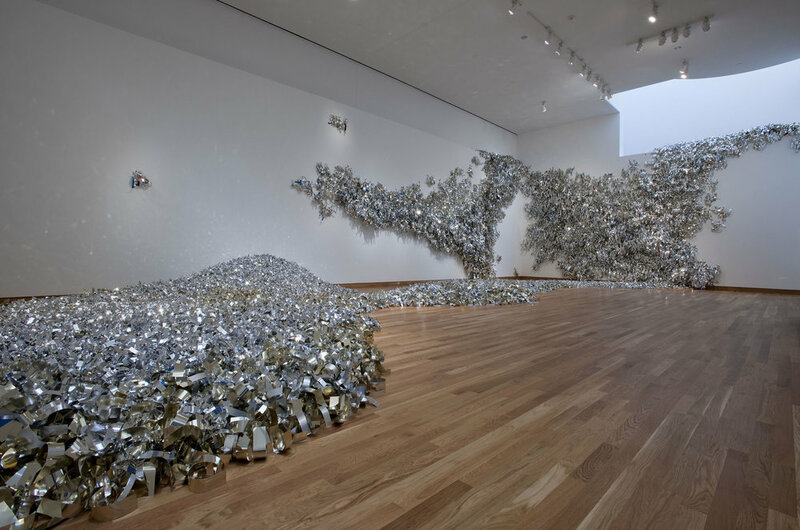 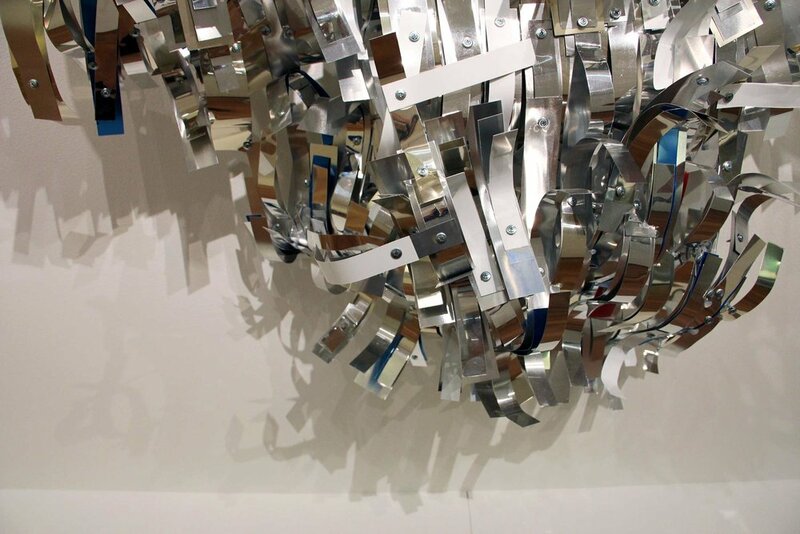 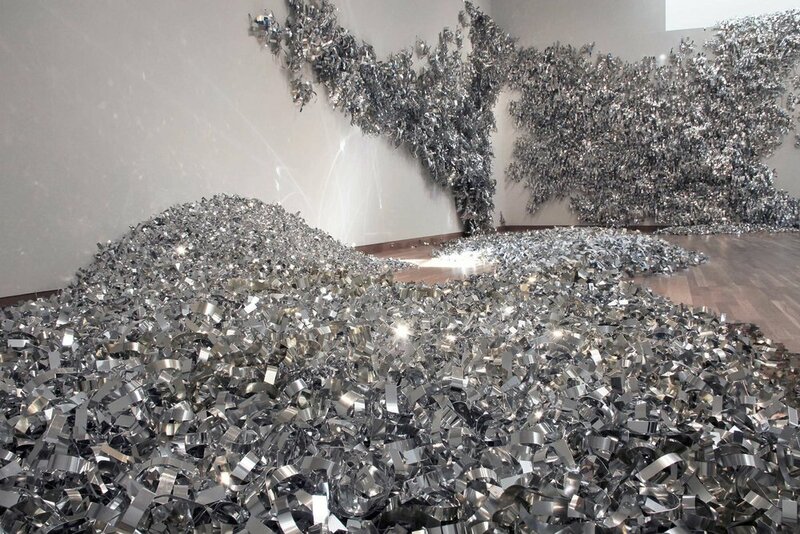 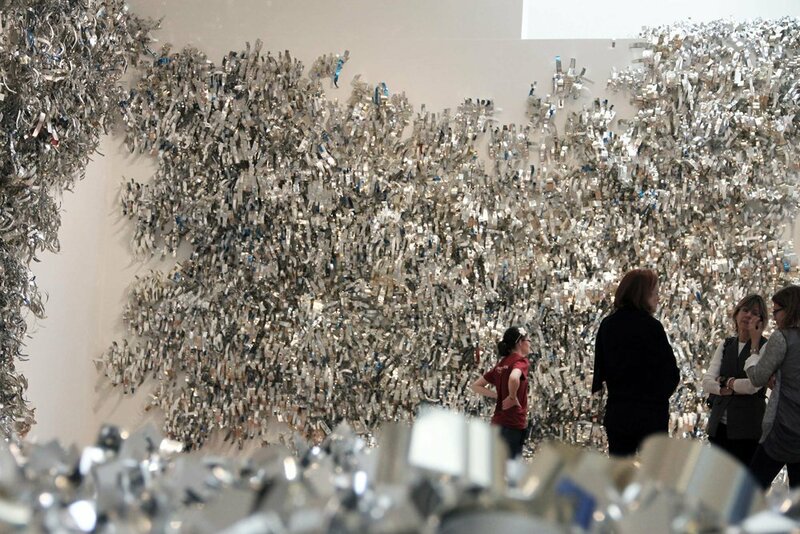 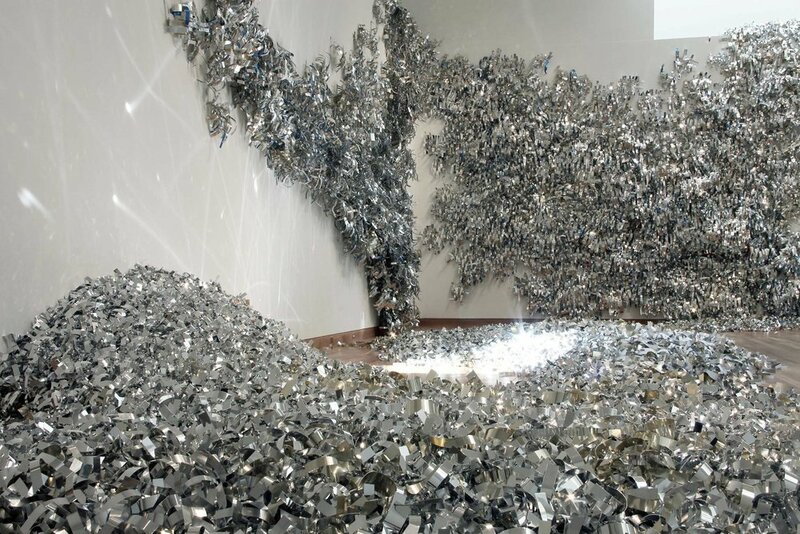 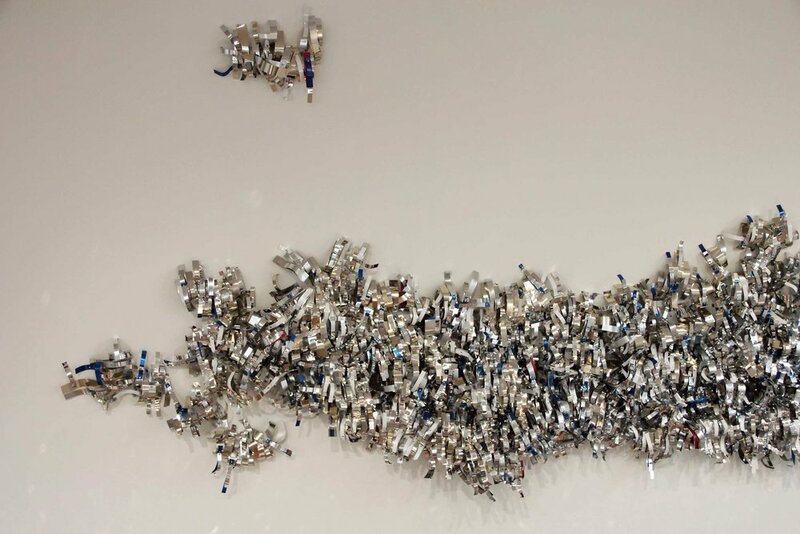 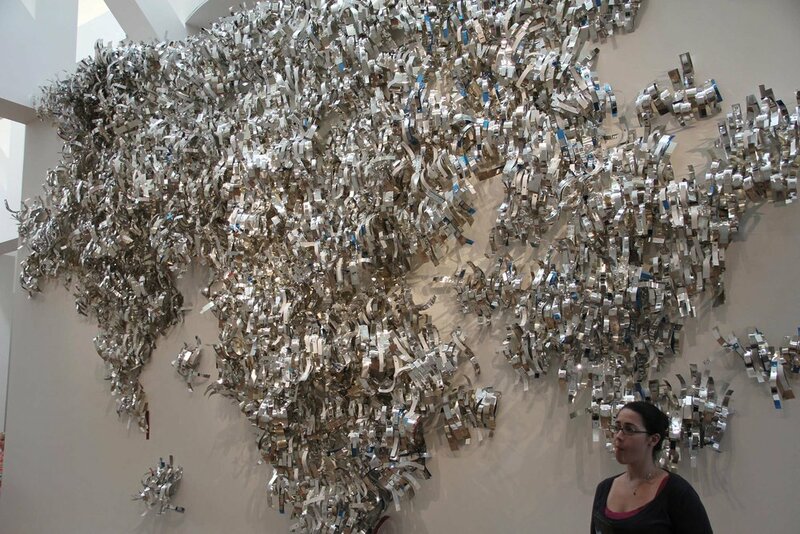 The work flooded the museum space with reflected light, creating a river of aluminum as a "drawing in space." 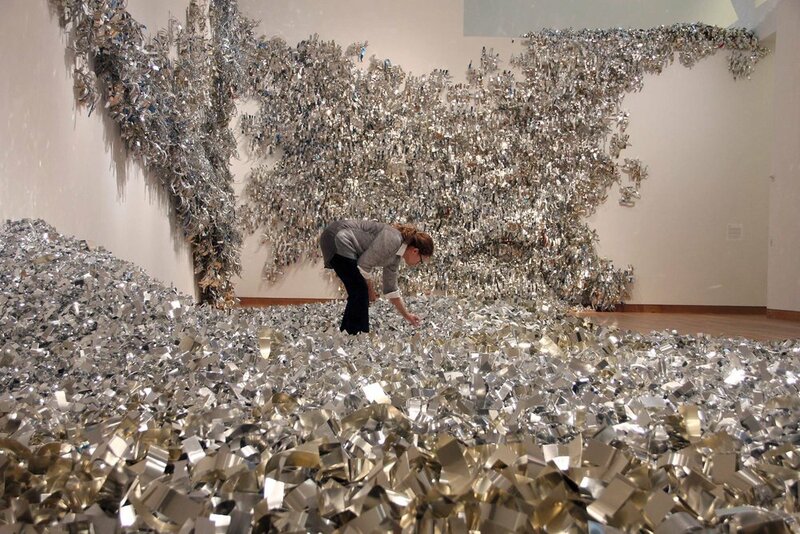 Sharon talks about her installation, created over a five week period during the summer of 2011.